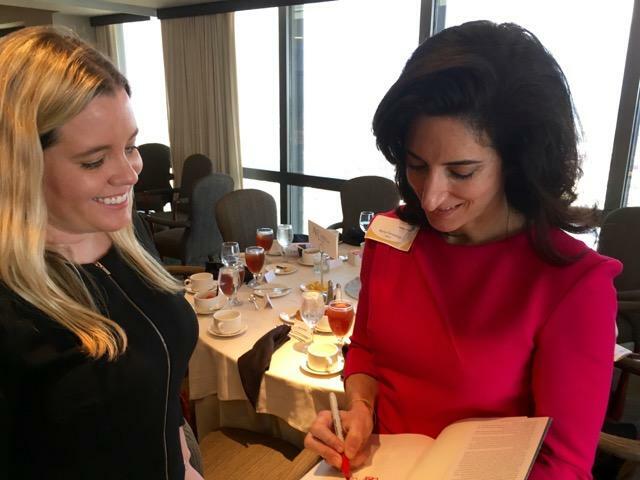 Rana Foroohar gives an autograph at the World Affairs Council lunch in Jacksonville. "Localnomics” is the idea that cities’ and businesses’ working together is the best way to solve long-simmering economic problems. 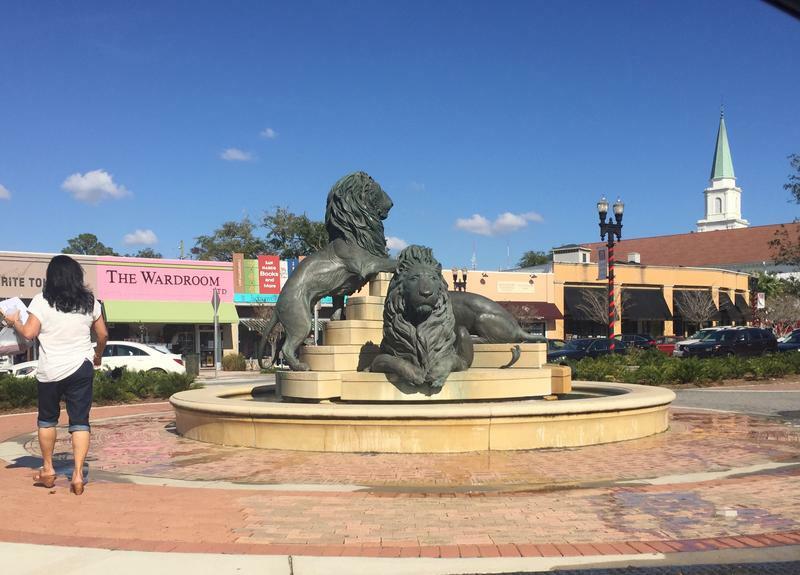 The concept was discussed last week at a meeting of the Jacksonville World Affairs Council. Speaker Rana Foroohar is CNN’s global economic analyst and a global business columnist for the Financial Times. She spoke at the World Affairs Council lunch on a variety of subjects, with localnomics being the most hopeful part of her presentation and likely the most valuable for people in Jacksonville. She gave two examples: IBM’s working with the city of New York, and a bipartisan effort in Columbus, Ohio, to raise money for education improvements and infrastructure. IBM determined the biggest challenge it faced in the next 20 years is the talent gap – that America’s education system was producing plenty of Ph.D.’s and people who could work in $15-an-hour jobs but not enough middle-skilled people. “They got Mayor Bloomberg, who was the mayor in New York at the time, to agree to let IBM look at the curriculum of certain high schools in New York and basically revamp it in such a way that they would be able to guarantee that they would hire kids that would come out of that revamped program,” she said. She says the partnership has been a smashing success. In Jacksonville, Duval County Schools have partnered similarly with companies including Interline, Deutsche Bank, Johnson and Johnson Vision Care and Vystar Credit Union on the Early College Program with UNF and FSCJ. Students leave that program with a high school degree and two years of college under their belt, according to district spokeswoman Tabitha Collins. And in Columbus, Ohio, following the 2008 recession, the mayor had to cut city services to the bone because of falling tax revenues. Faced with another round of service cuts that he felt would truly damage the city, he went to the business community and asked them to support a local tax hike, the first one proposed in Columbus in 35 years. He told the business leaders that he would create a business council that would help decide how the new tax money would be spent, and the business leaders bought in. In Jacksonville, we’ve heard a lot about public-private partnerships, especially under former Mayor Alvin Brown. But we haven’t seen something on such a large scale. Perhaps City Council and Mayor Lenny Curry might consider turning to corporations to deal with Jacksonville’s bigger economic challenges. This story was updated Feb. 13 with information on Duval County Schools. 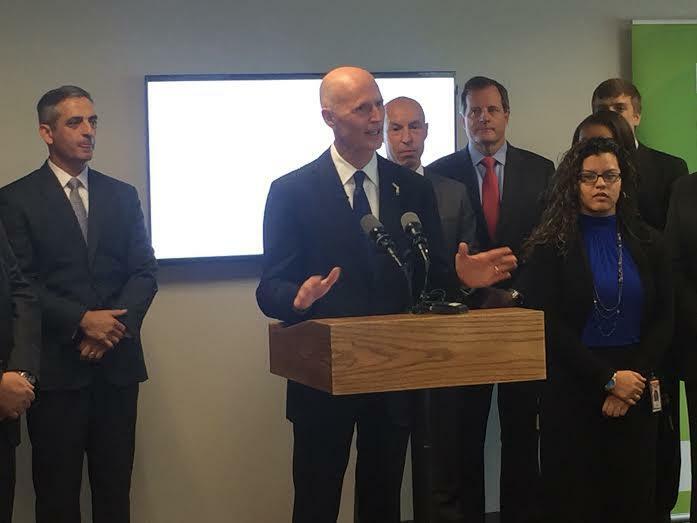 Florida Governor Rick Scott spent Monday morning in Jacksonville celebrating the expansion of a financial tech firm that’s adding 250 people to its staff. The deal was closed with the help of state and local economic incentives. Jacksonville’s Financial News and Daily Record is under new ownership as of this month. It was the last Jacksonville newspaper owned by a local family.